Fisheries and Marine Resources Minister, Patrick Basa assured the representatives from the fishing industry during a breakfast meeting held last week. Basa said the initiatives announced by O’Neill included a rebate being offered to fishing companies, so they land their catches onshore to be processed. The government believes this would prompt the existing processors to lift their capacity from about 30 per cent to about 70 per cent. Basa said this would create more jobs for Papua New Guineans, and ensure revenue and foreign exchange that is lost to countries like the Philippines and Thailand are retained. But fishing companies say they have not seen the details of the rebates scheme, and are worried that its implementation would lead to them making financial losses, resulting in closure of their business. Paramount among their concerns is the high cost of doing business in PNG, poor infrastructure, lack of adequate and reliable power supply, and high labour cost. Basa told the representatives that the government appreciates their concerns, and will work closely with them to ensure their concerns are addressed and accommodated. “The government is not against the companies, but working towards ensuring a greater return to its people for the harvest of their resource,” Basa said. He instructed the National Fisheries Authority (NFA) to work with the industry representatives in the next three months to develop a matrix on the way forward. He directed, among other things, for the NFA to identify the catches by fleets in the past five years in PNG, and where these fish are landed or exported. 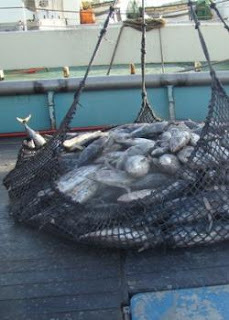 Basa also called for a clear data on whether these catches are recorded as catches from distant fishing nations, locally based foreign flagged vessels, or PNG flagged vessels. “We need to know the exact volume of catches and by fleets. I want to know the volume of catches by fleets that are landed in Bangkok and the Philippines,” Basa said. With four processing plants already operating in Malahang industrial centre in Lae, and another two being planned. The government is pushing to build a wharf dedicated to serve fishing companies.